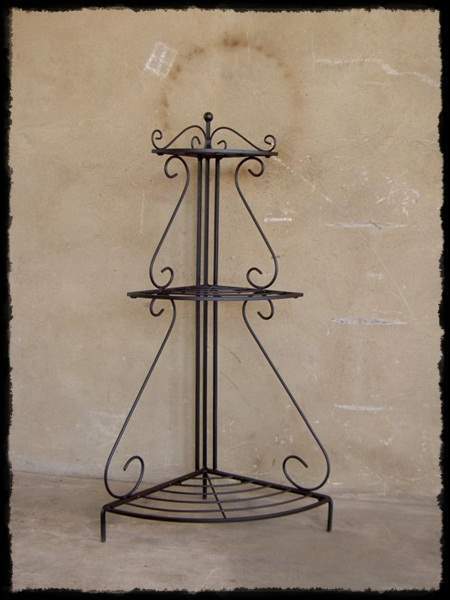 The Herb Triangle Large, manufactured of mild steel is ideal for displaying pots with green and fresh herbs on the patio. Ideal to fill up an empty corner or against a boring wall. Be trendy, and place 4 Herb Triangle Large in a circle. The Herb Triangle is sold in as on piece.